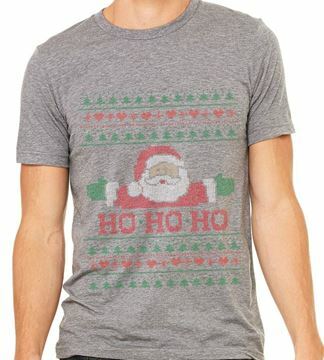 Great Holiday t-shirt for those ugly sweater parties. Be a rebel and wear this comfortable t-shirt instead. 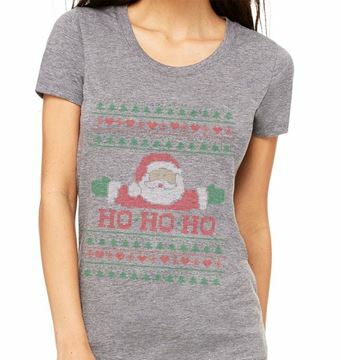 Great design with Santa. Enjoy and be cool! Made from 50% polyester, 25% combed and ringspun cotton, 25% rayon.